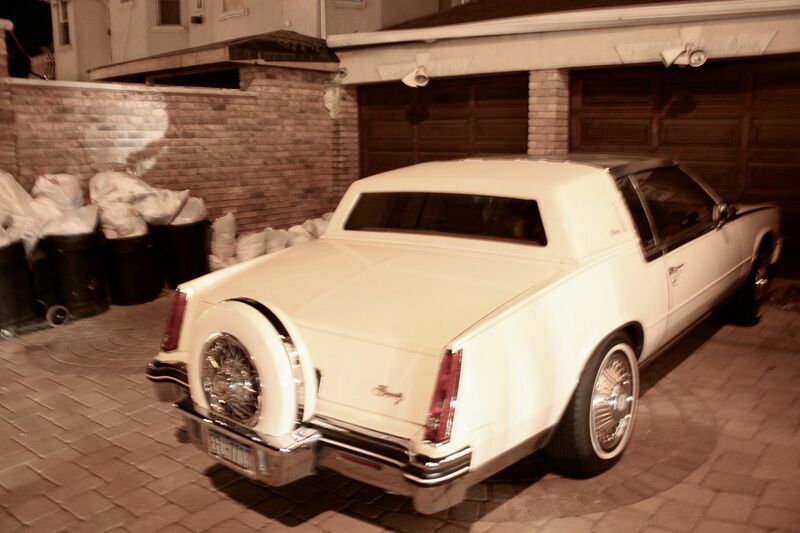 sunday night we went deep into brooklyn to spend the evening with mara and danny. mara was in our ward back in our brooklyn days, and though we shared all the same friends (we have a nearly identical collection of christmas cards displayed right now), somehow we never hung out. so it was really lovely to finally fix that, and meet her husband danny, and see her seriously great apartment in park slope. 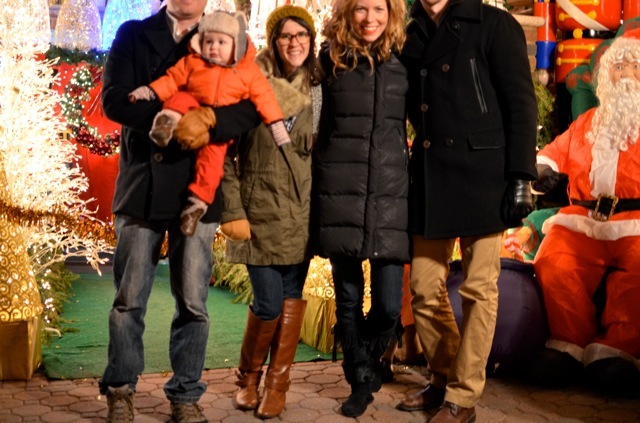 and then we all drove out to see the famous dyker heights christmas lights. they were seriously insane. it was such a blast. 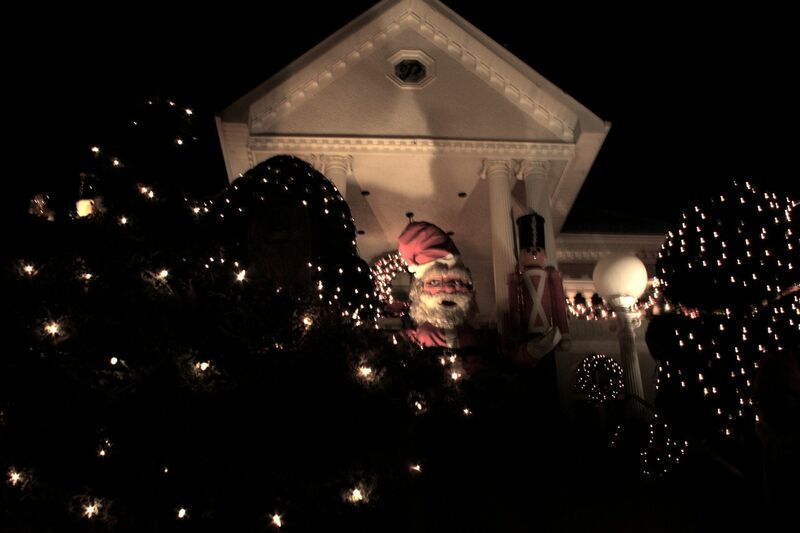 it's not really christmas until you've seen a thirty-foot-tall santa leering at you from a person's front yard, you know. pays to be short sometimes! danny and mara, we love you! 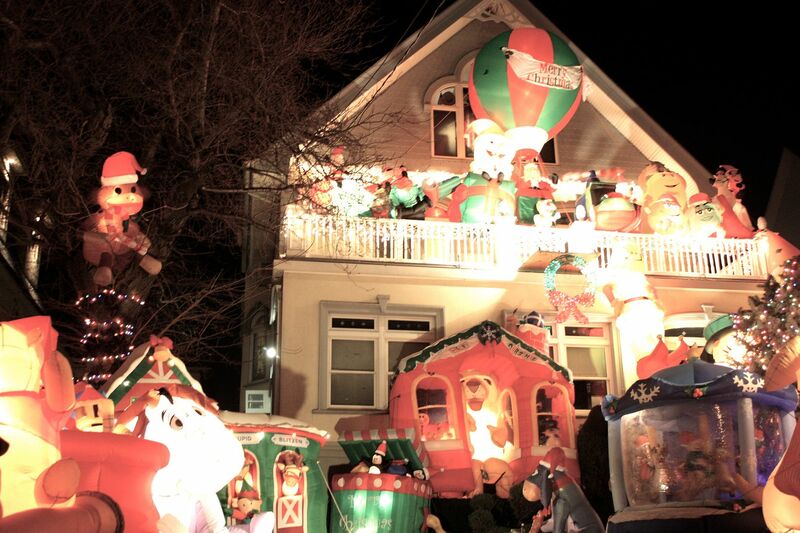 dyker heights, you are NUTS! oooh, mara's coat! i love. 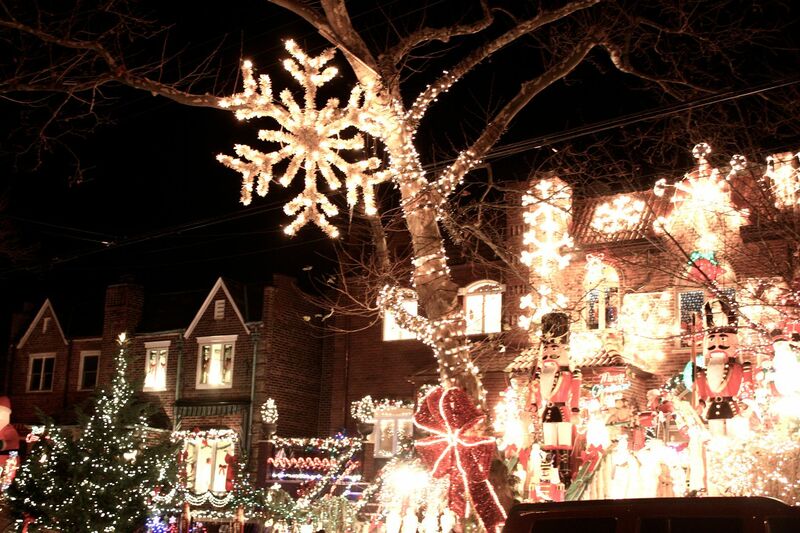 Those are some awesome Christmas lights! 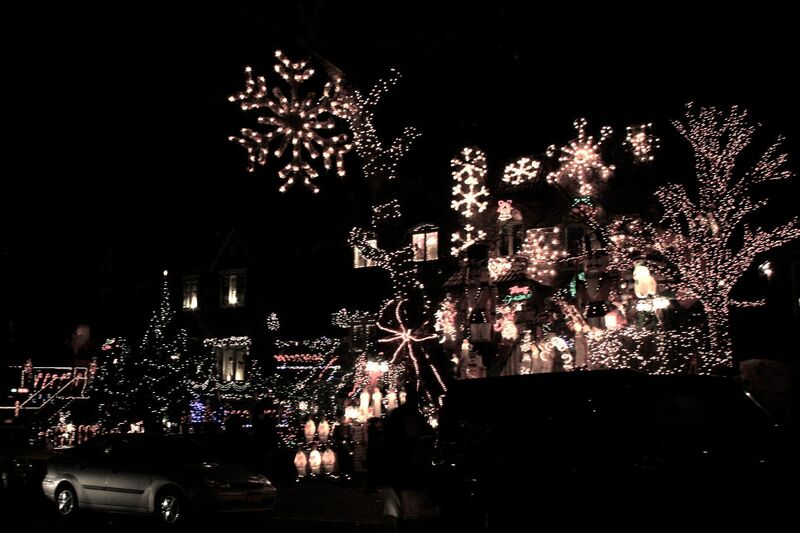 Puts my neighborhood to shame. 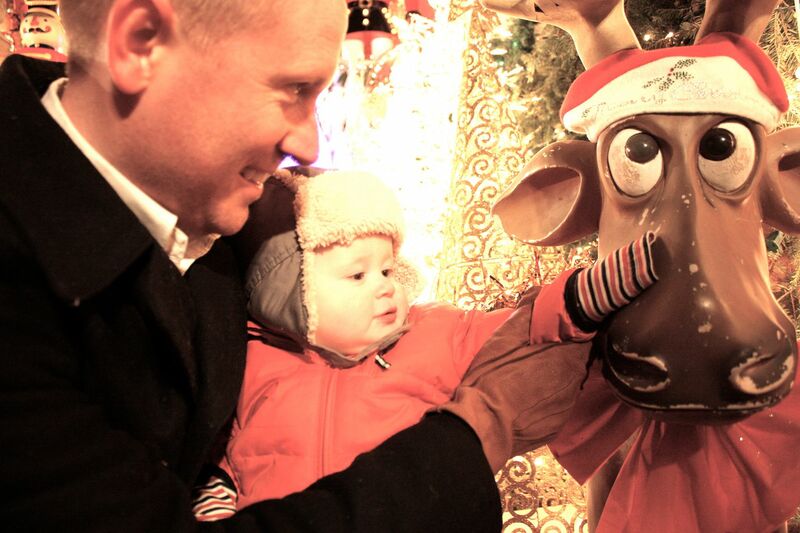 Doesn't hurt that you have a cute Huck-ster to tote around! HA! The photo with the guys heads chopped off is HILARIOUS. Those are some very intense light displays, I was gasping like a big ol' nerd. those are some crazy lights! love your boots...where are they from? I always wonder how they get whole streets to cooperate! Do you have to get approved to buy a house? Anyways, looks lovely! Wow, those lights are CRAZY! How fun! I also love when you connect with people and wonder why you haven't been hanging out all along. ha. 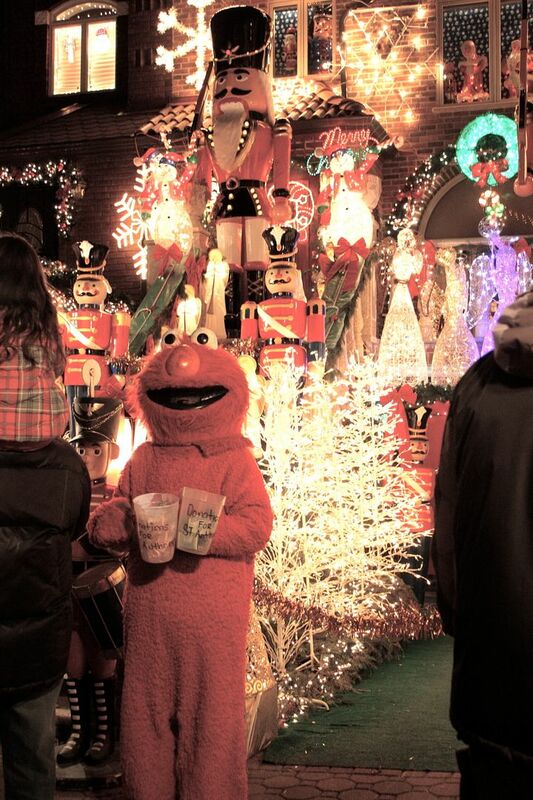 so many comments... is elmo with you? what a caddy! 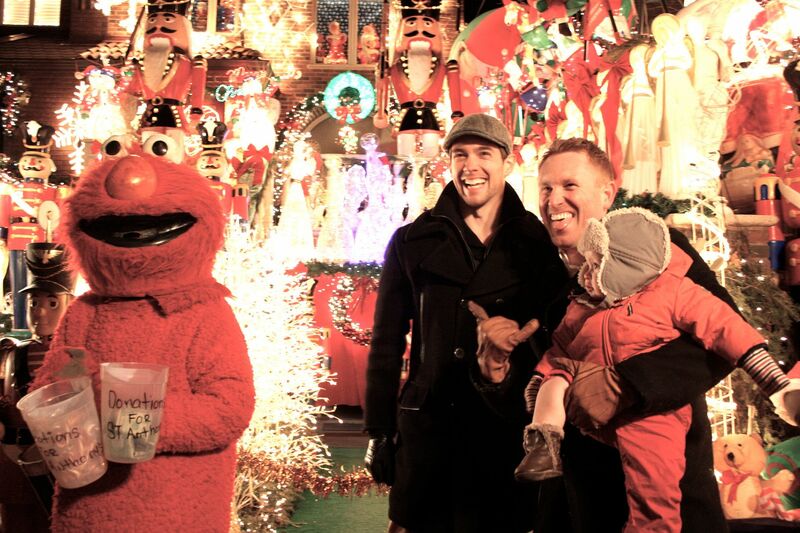 huck seems to love the lights and the men look like meant to be buds. looks like fun! oh I know this all to well. It's awesome. 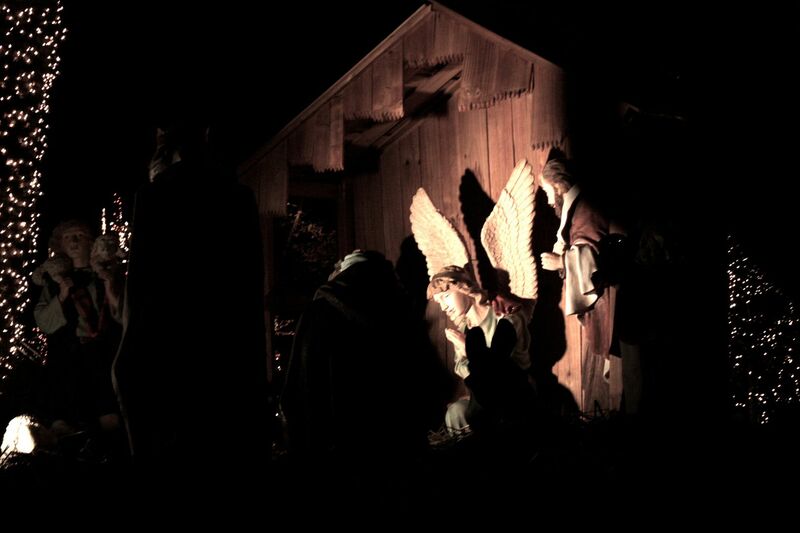 I love all the crazy lights and plastic wrapped nativity scenes (at least that is what they do in Port Chester NY). We drive over to CT into NY and get lost in the lights. HILARIOUS photo of all of you. That person has skills. Oh my word. 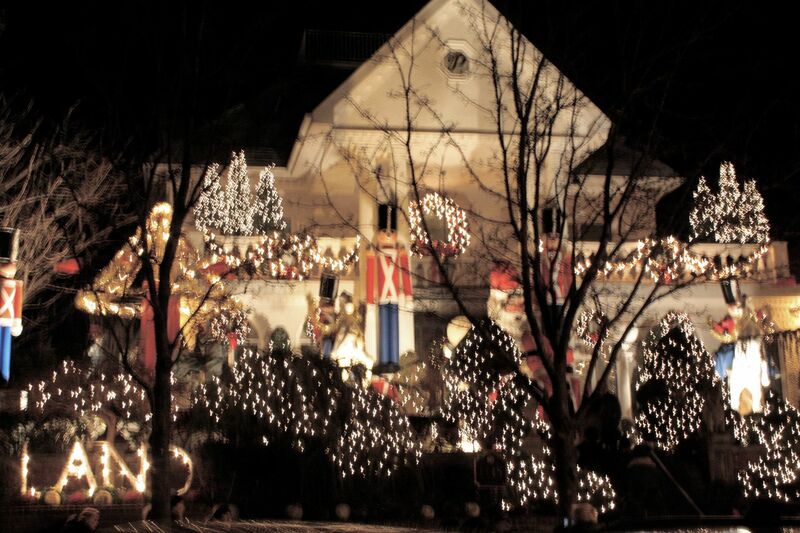 I am swooning over this display of Christmas spirit! What a lovely neighbourhood to walk through. 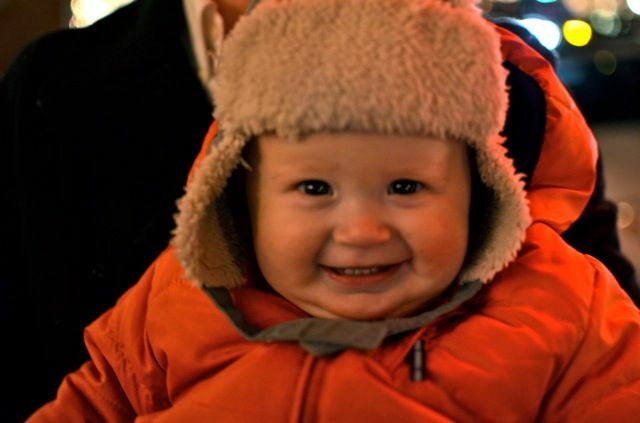 That picture of little Huck grinning is killing me - he is too cute!! Wow, that is amazing! Would love to see that.